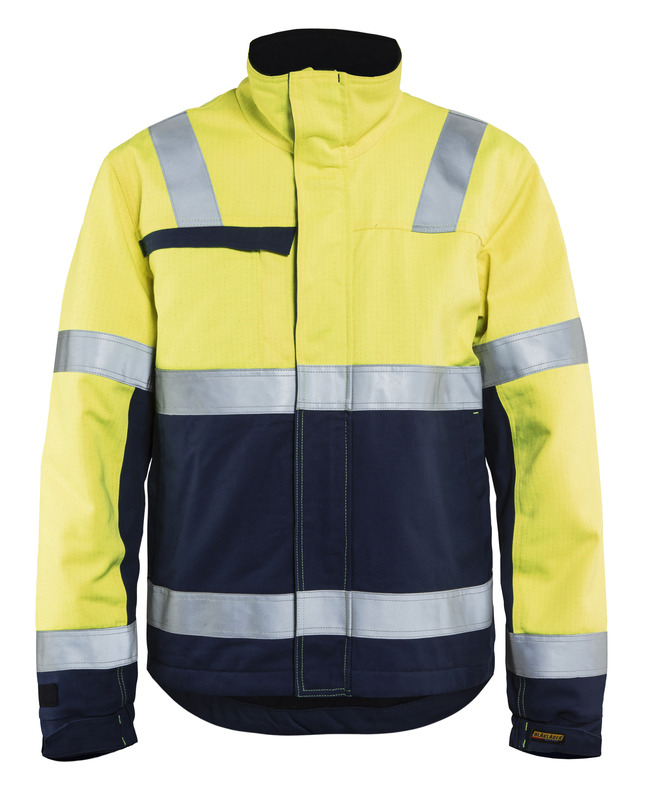 Multinorm winter jacket designed to be visible from all directions - even when bending down. 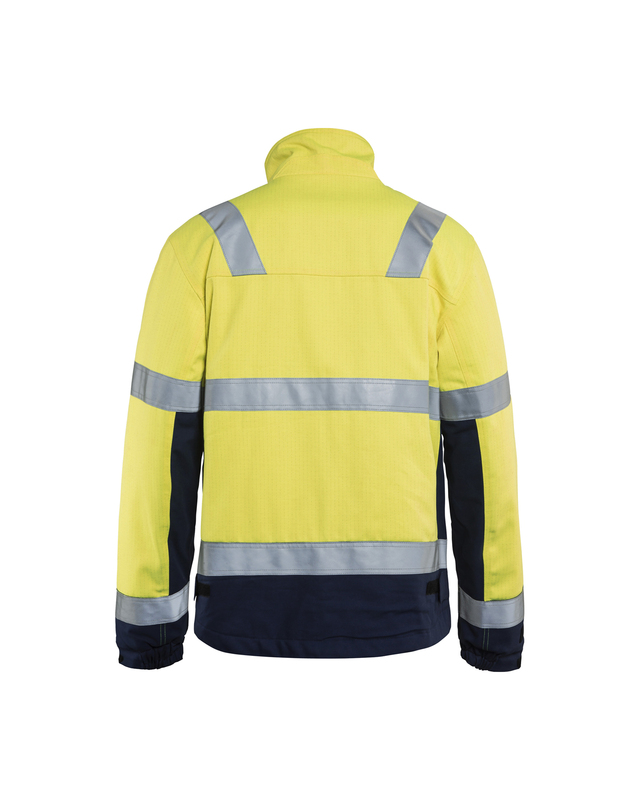 Easily-accessible pockets for all of your needs combined with a comfortable fit, durable material and increased safety make this jacket the ideal choice for extreme and demanding working conditions. Certified according to EN ISO 20471, XS-L class 2, XL-> class 3. EN 1149-5, IEC 61482-2 class 2. EN ISO 11612 A1, A2, B1, C1, F1. Quality 1514 is a flame retardant fabric carefully chosen to create the best combination of strength and comfort. High proportion of cotton provides clothes that are comfortable to wear. The fabric is certified for EN 1149-3, EN 61482-1-2 Class 1, EN 61482-1-1 ATPV = 11.0 cal / cm², EN ISO 11611 Class 1, EN ISO 11612 A1 A2 B1 C1 E3 F1, EN 13034, EN ISO 20471. HAF 82%. Oeko-Tex® 100 certified material.